One the most pervasive narratives of the 2016 presidential election season has been that Hillary Clinton lacks passionate supporters. Her recent polling gains against Donald Trump are frequently attributed to his missteps in the debate and to a series of upsetting allegations about Trump's behavior toward women (and the comments he made on the now-infamous 2005 hot mic Access Hollywood tape). While some of this is likely true, there is another, critical part to the story. Her success is more than his failure; people are not just voting for Clinton because she isn't Trump. Simply put, a significant part of why Clinton is winning in a decisive way with just over two weeks to go is that a lot of Americans really like her. A recent ABC News / Washington Post poll indicates that Clinton has made significant gains in affirmative support — meaning supporters who are voting for her rather than against Trump. Trump's supporters, on the other hand, appear to be motivated primarily by their dislike for Clinton — roughly the opposite of the Clinton-as-last-resort mentality her supporters are accused of having. Specifically, 56 percent of Clinton backers are planning to vote for her because they like her, while 52 percent of Trump's supporters are "mainly motivated by opposition to Clinton," ABC News noted. Clinton’s silent majority is also hard to see precisely because it’s so diverse. There is not necessarily a “typical Clinton voter” in the sense that an older, white working-class person is a typical Trump voter and a young white college graduate was a typical Bernie voter. As a mid-30s, non-observant Jewish college graduate, I’m a very typical Clinton voter. But so is my older gay neighbor, and the black mom living a few houses down, and the house next door of single women roommates. ... I think there might be something else at work as well: an optical illusion that the candidate with the most white male support had the most support, period. I had let myself mistake the loudest people for The People. Unfortunately, the hidden nature of Clinton's most passionate supporters makes perfect sense. As Yglesias noted, they include many women and people of color — and, of course, women of color, a group that often feels disproportionately silenced in education, business, and politics. 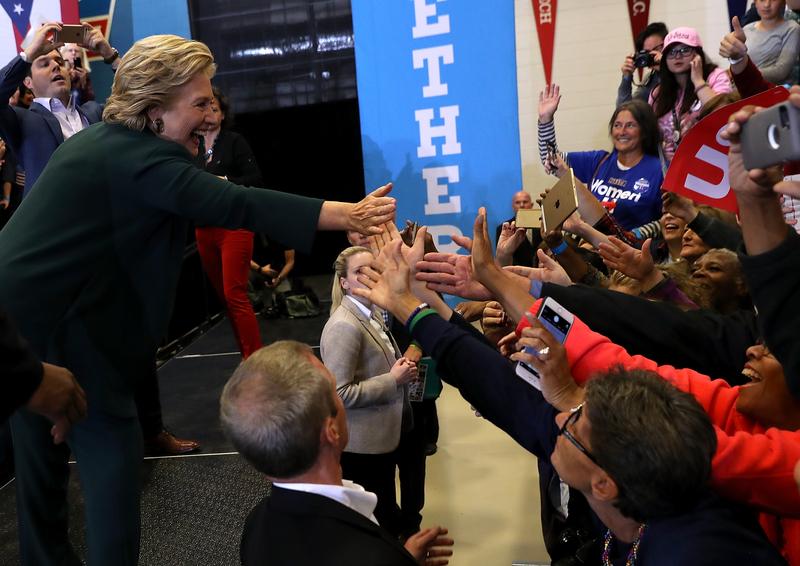 If Clinton wins the election next month, it may very well be because more Americans actively support her, rather than their fearing her opponent. In that case, I hope people will stop asking her why voters don't like her — and start acknowledging that, believe it or not, Clinton isn't as unlikable as her critics think she is.